As a data scientist, whenever I am developing and testing financial models in R I’ve consistently run into data size limitations, large or distributed compute clusters, and many long waits for my results to be processed and returned. That's why I was genuinely impressed with how our recently released docker image of Pivot Billions, enables me to perform extremely fast backtesting of financial models from R in real time. The sheer power and efficiency of our tool was surprising. 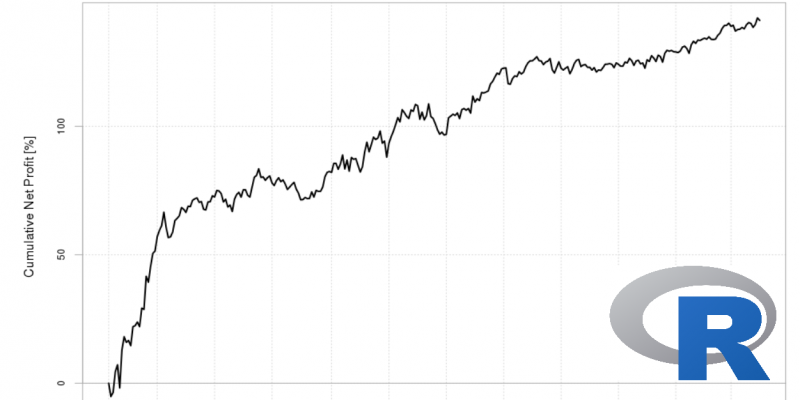 It was able to backtest my model on over 140 million rows of data in less than 9 seconds. The fact that it's a free solution makes it a big plus for the data science community. Pivot Billions not only allowed simulations across massive amounts of financial data from the comfort of R, but did it from a free docker image running on a single r4.large Amazon EC2 instance ($0.133/Hour). This made it a lot simpler to develop my financial model as each iteration of my testing was done in seconds and the whole process was much more interactive. The simplicity of the R integration allowed me to control my model and testing parameters and view and analyze the results directly from R. Behind-the-scenes, our custom-built time series database and trading module handled the brunt of the work. Having access to the whole 5.5 years of Raw Currency Tick Data allowed me to see the full granularity of my trading strategy in real time, greatly enhancing my development process. Enhancing R with Pivot Billions created a pretty powerful combination. If you want to try it out for yourself, I've posted a link to the R script. Just download and access with RStudio. The time series database and trading module were developed internally as a project specifically for backtesting financial models quickly, simply, and accurately. Both the database and module have been verified against real-world trades through a broker and allow risk-free exploration and testing of your models in real-time. They are included in the Docker version of Pivot Billions for free. If you need help using these features, contact us at info@pivotbillions.com.